The best way to support LMGTFY. +$1.99 for Shipping & Handling. Payments are securely processed by Stripe. 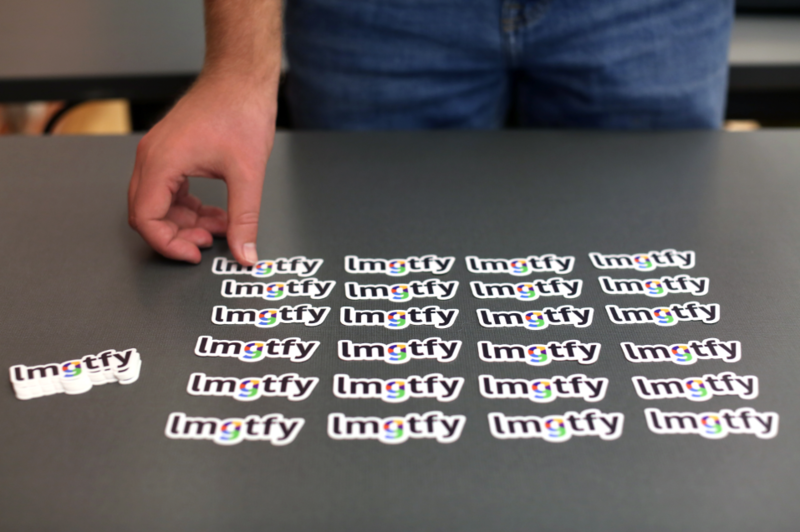 The LMGTFY sticker is die-cut to (approx) 3" x 1½". It's perfect for tagging your laptop, your phone, your workspace, or even your car. 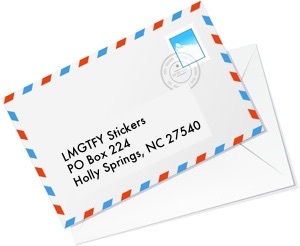 The LMGTFY Sticker is made from thick, durable vinyl with a UV laminate that protects it from scratching, rain and sunlight. 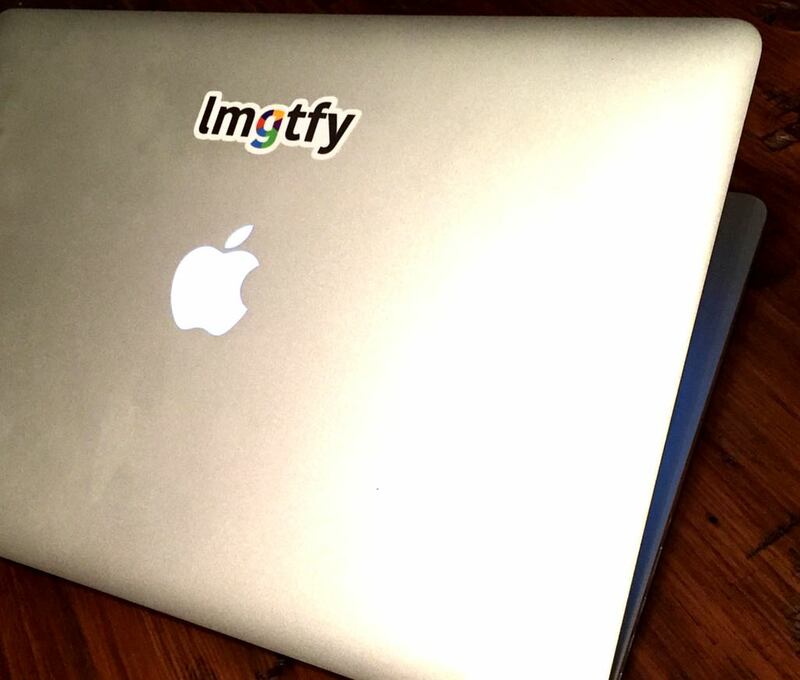 The LMGTFY Sticker is produced by StickerMule, the same pros behind other top brand stickers like Github, Quora and Reddit. US dollars only, please. No checks or money orders. Upload your sticker photos to Flickr with the tag 'lmgtfy-stickers' and they'll show up here. You need to have at least 5 photos in your account before Flickr publishes photos to public streams. © LMGTFY, 2009-2019 | LMGTFY, Google Inc. tarafından desteklenmemekte, finanse edilmemekte ya da bağlı değildir.